Fringe necklace is a multifunctional accessory that gives life to any piece of clothing in your wardrobe. 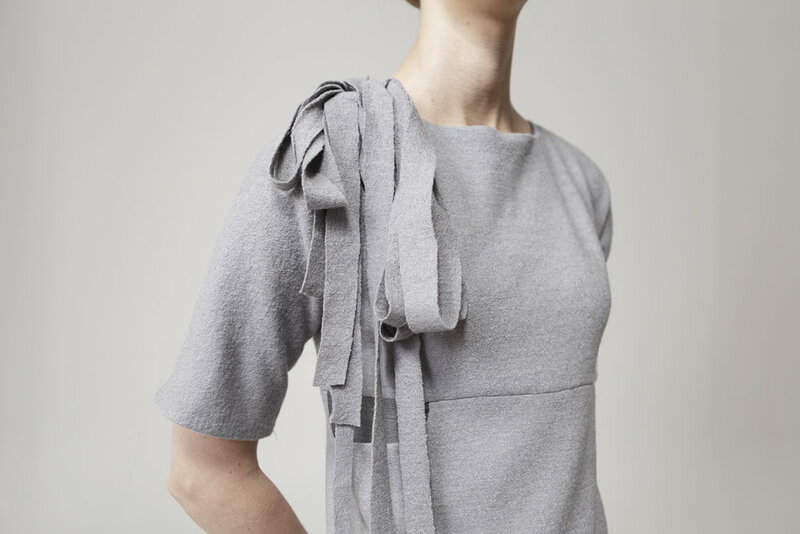 The long fringes breaks the classical structure and shape of a necklace and adds complexity to you outfits. 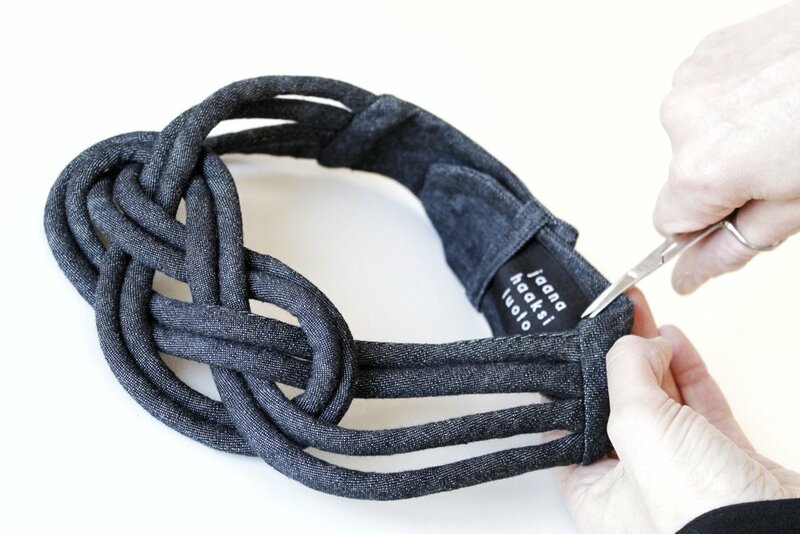 This knot necklace, inspired by the centuries-old carrick bend, has traveled a long way to be used as a contemporary textile accessory. Matches well with polo shirts, dresses, fancy tops or classy office shirts. Uni shirt is made of soft organic cotton. Uni, a dream in Finnish, refers to the cloud-like cut used in this shirt, reminding us of the importance of daydreaming. Uni shirt comes with flare or long sleeves. Sofie skirt is made of stretch cotton denim. Skirt with a zip on a back has a wide waistband and big pockets on both sides. The craftsmanship-inspired denim collection introduces functional pieces with an urban touch suitable for both casual and official occasions. 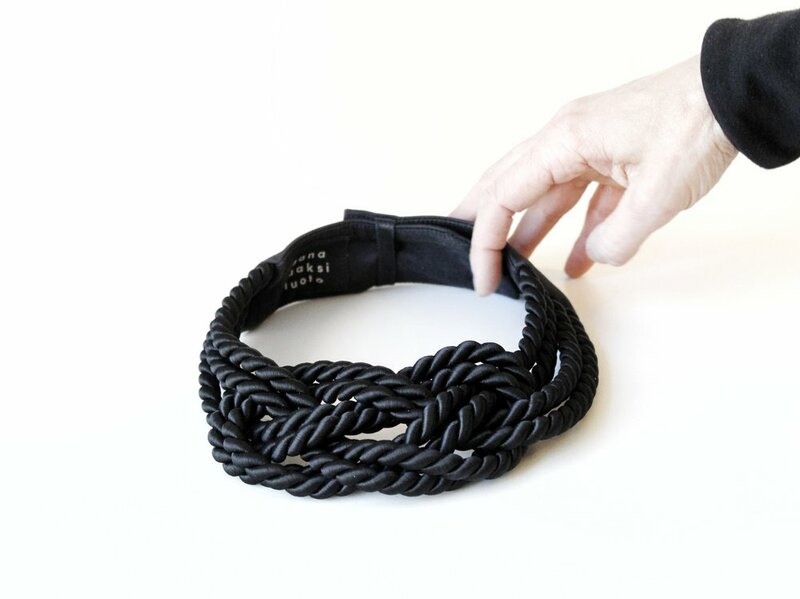 Plait necklace is made of stretch cotton denim. Hanna dress is made of stretch cotton denim. Dress with a zip on a side has small pockets on both sides. Anna dress is made of stretch cotton denim. Wraparound dress has a band which can be tied front or back. It has pockets on both sides. Joanna dress is made of a stretch material so it needs no zip. The dress has spacious pockets on sides and a bow on a neckline which can be detached, if wanted. Elastic cord on both sides of the dress create baggy shape for the hem. Sofie dress is made of soft wool mix material. Dress with a zip on a back has all together eight pockets and lining on a hem. Sumu dress has wide and elastic welt on arms and on the waistline. Under knee height dress has a elastic cord on the hem. Knitted pullover with puffy sleeves is made of 100% wool. 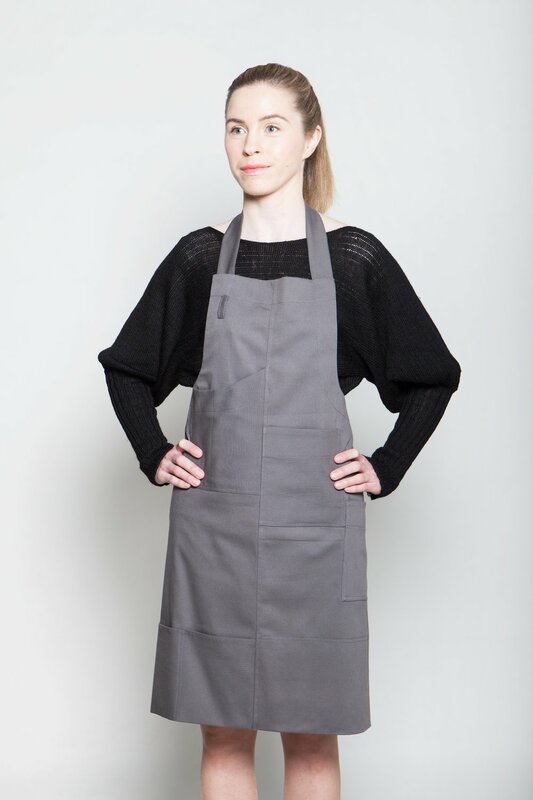 Knee height apron has different sized pockets and button on a back for fastening. Sofie skirt is made of soft wool-mix material. Skirt with a zip an a back has a wide waistband and big pockets on both sides, which are lined with cotton material. Uni shirt is made of 100% cotton. Long sleeves have elastic cords on wrists. Dress has a thin fabric belt on a waist and wide fabric panels on shoulders and on a hem. Irina dress (blue) is made of light cotton mixed material. Dress has a elastic cord on a waist and tripy trimmins on sleeves and on a hem. Uni dress is made of 100% cotton. 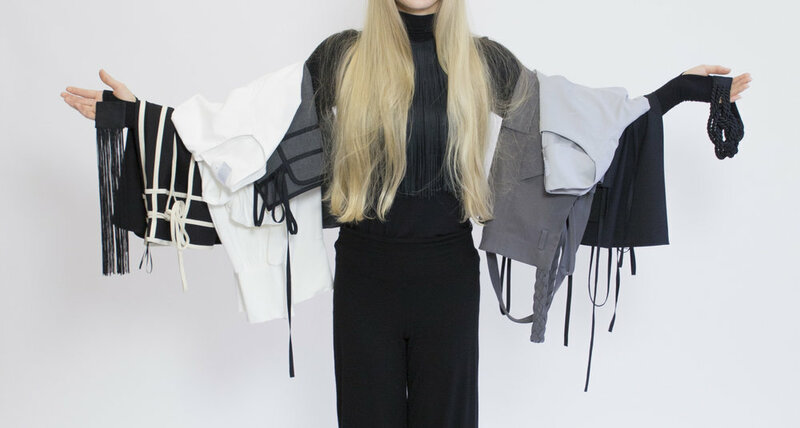 Long sleeves have elastic on wrists. The dress can be gathered together on hips with thin fabric belt or worn straight down.